Video-performance. Live Video transmisson. 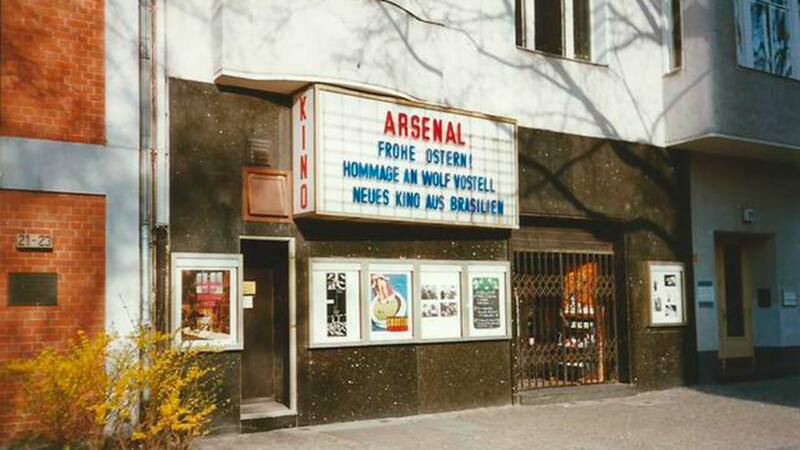 3 h. DJ Inger Schwarz, soundmix, Cinema Arsenal, Berlin 1995, performers Martina Siebert and Angelika Levi. An experimental video performance in the cinema Arsenal, Welserstraße, connected through cables to a videocamera hanging over a table in a restaurant on the other side of the street. DJ Inger Schwarz is mixing 5 soundtracks live. 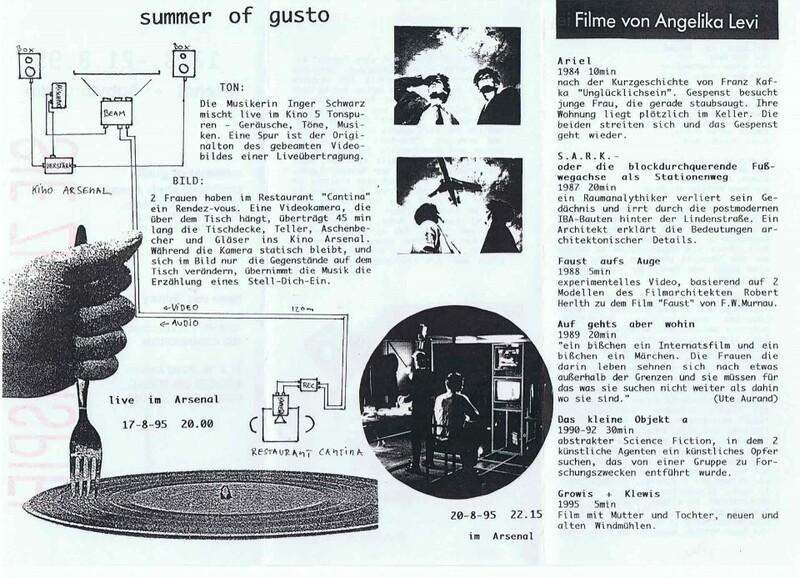 One track is transmitted from inside the restaurant while the camera remains static, only the objects on the table change in the picture, the music takes the narrative of a Vice-you-A.